Two organizations coming together to create more business opportunities in the VI. 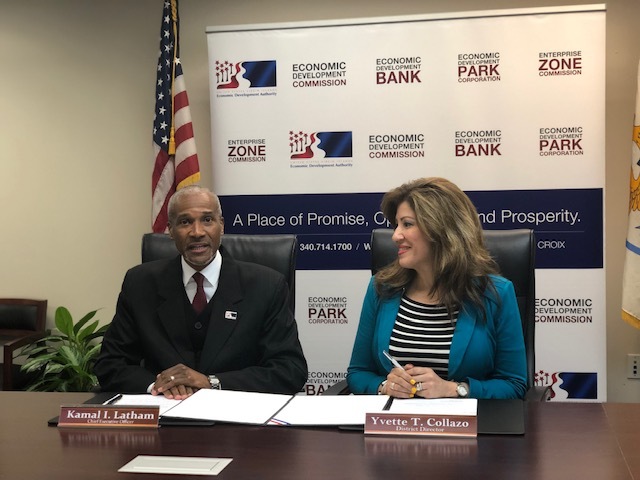 The CEO of the US Virgin Islands Economic Development Authority and the District Director of the US Small Business Administration signed a “Strategic Alliance Memorandum” on Thursday March 14. It said they’ll work together to meet the needs of the small business community in the VI and added that they’ll foster small business entrepreneurship. They said this is just the beginning of new business growth for the Virgin Islands. “So the job that we have is to provide more awareness of the resources through the effect of communication,” Kamal I. Latham, CEO, VIEDA said. “We strongly believe that small businesses more than ever here in the US Virgin Islands really need all the help, collaboration, and working together of all of the federal agencies as well as local agencies,” Yvette Collazo, District Director, U.S. Small Business Administration said.